Day 19: I'm thankful for friends who trust me and my photography skills enough to take their family photos. I got to spend the weekend with one of my favorite bloggers and good friend, Kara, and her family. 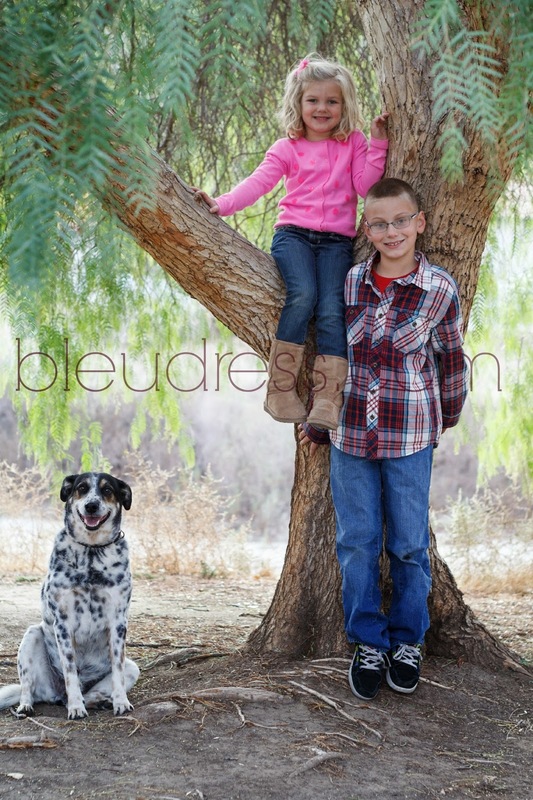 I don't want to spoil the fun for her family, some of which I believe read my blog, or her readers, so I'll just share this sneak peek of the kids and their adorable pooch! PS. It isn't too late to link up and join us for this weeks Thanks and Giving Project! I'll be giving all week and posting a recap this weekend. awe cute photo! it's so hard to get the pups attention at the same time! good work. I'm thankful for blogs and good friends.